More than 100 people had been getting in line before the opening hours. As the door opened, everyone entered the library which has a sweet fragrance of wood. A lot of men and women of all ages come in to use this new library. On the first day, around 5585 peoples were coming. Visually challenged people were reading books at OTEPIA Kochi Talking Book & Braille Library. In the child corner, on the second floor, many children were choosing and reading books and picture books. Mothers with their babies were laughing. 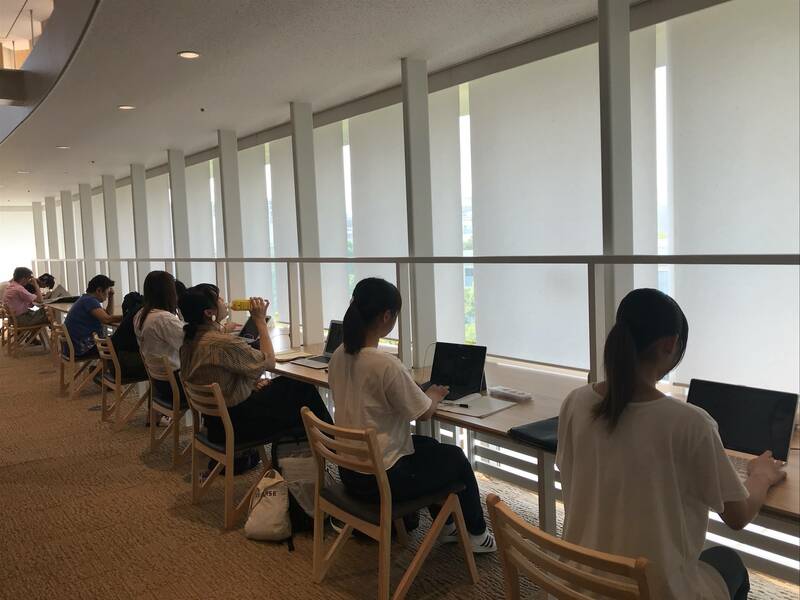 Students such as junior high school and high school were studying and doing their homework very quietly at study room on the fourth floor. 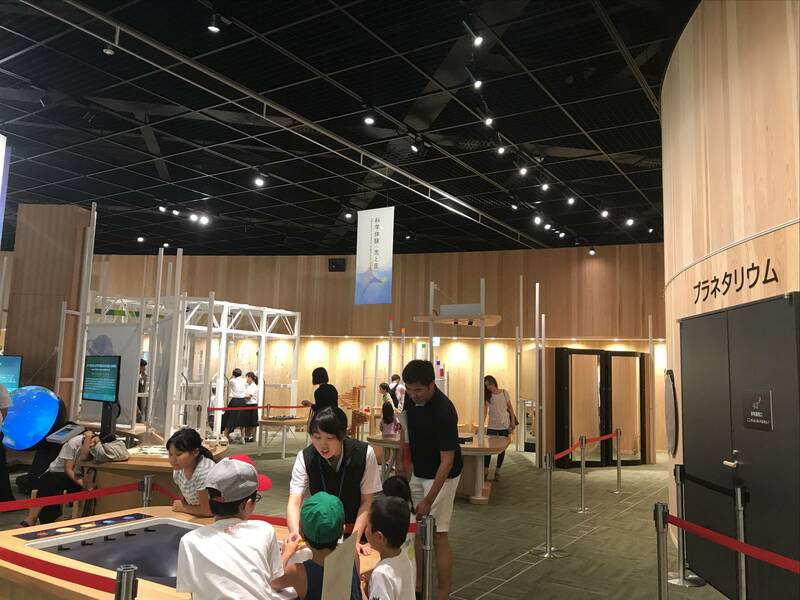 Kochi MIRAI Science Center on the fifth floor, not only children but also adults were watching zoological and botanical specimen and enjoying an experience zone. This new library, OTEPIA which is so big, and fascinating opened 24th July in Otesuji, the center of Kochi. This name’s “OTE” was named after the used place of Otemae elementary school and “PIA” was named after Nakama in English “peer” in the hope that a lots people will gather in this place and will be used. 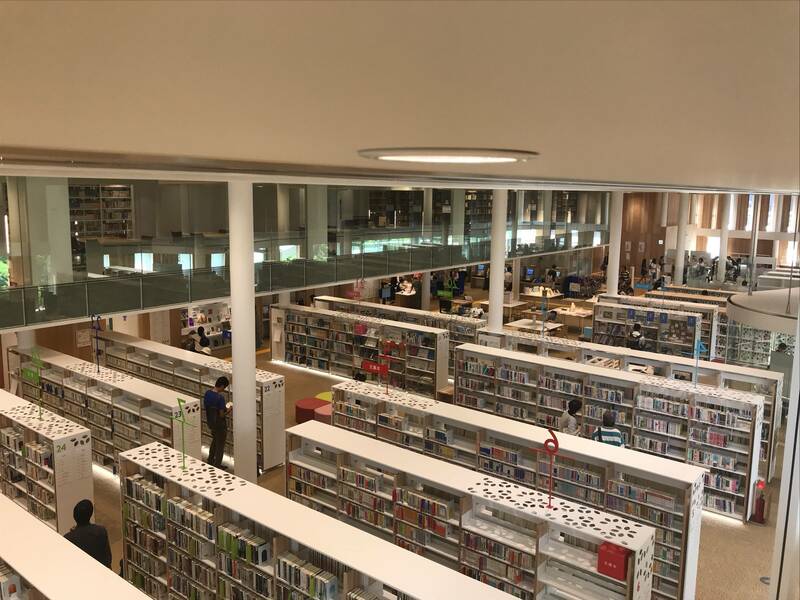 This new library was imaged as a big tree with four branches: the OTEPIA Kochi Library that consists of the Kochi prefectural library and the Kochi city library; the OTEPIA Kochi Talking Book & Braille Library; and the Kochi MIRAI Science Center. The old Kochi prefectural library and Kochi public library had many problems. First is that both the prefectural and municipal libraries were old and lacked sufficient storage capacity for books. 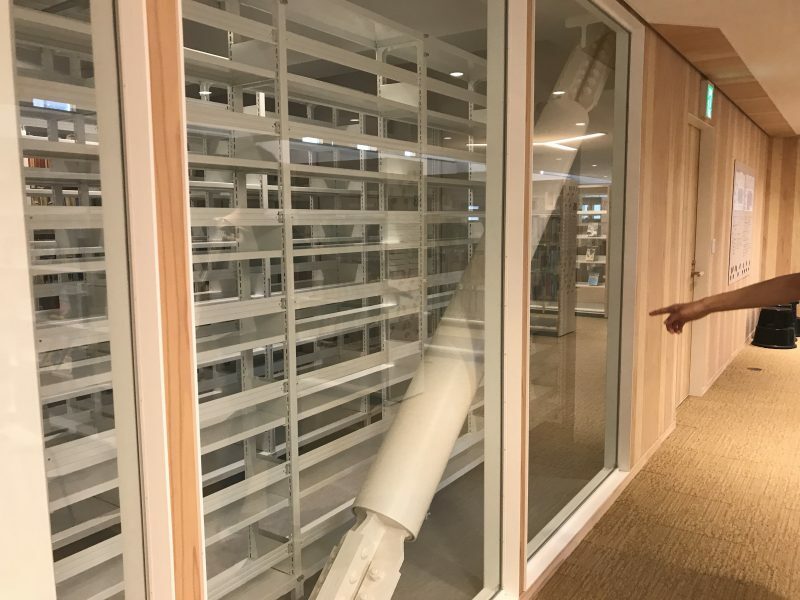 And perhaps even more importantly, libraries did not conform to the new quake-resistance standards and were considered a public safety hazard. 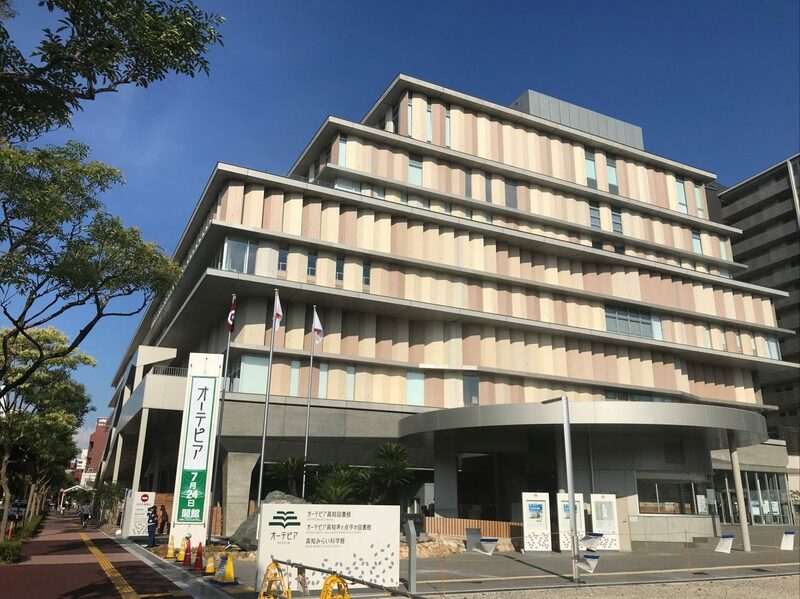 Furthermore, according to plan document of OTEPIA new library service, now, Kochi has a lot of problems such as population decrease, declining birthrate, growing proportion of elderly people and the Nankai Trough earthquake. OTEPIA was built to solve these problems. The OTEPIA can hold around 2,050,000 books and has enough access to shelves and browse spaces. It is also equipped with earthquake-proof features to cope with the inevitable Nankai Trough earthquake. Besides that, it has also created an online database where people could search books, magazine, and reference much more efficiently. Located in the center of Kochi city, the OTEPIA will never be lonely. This is due to its strategic location. And the hustle and bustle will be made to build in the center of Kochi. Books are gathering in one place to increase efficiency, and the single location will attract more overall visitors to that place. What makes the new library so unique is that it was made with the commitment that young and old, sighted and blind, should be able to use the facility comfortably and freely. I have not ever visited OTEPIA, so I was glad to know many merits of it and its fascination.I would like to visit and enjoy OTEPIA. I’m a big fun of OTEPIA. If I want to know about there, I will ask you cuz you are a ‘walking OTEPIA map’ for me. I have been here several times since it opened. These days, people who read books are decreasing because people are reading by using the electronic devices but there are 2,050,000 books so I will try to find a book that I could be into. I havent been to Otepia yet but i would really love to visit it soon someday.